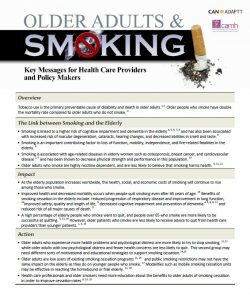 Public Health Units offer a centralized hub for tailored cessation supports that could serve as a key referral point for smokers. 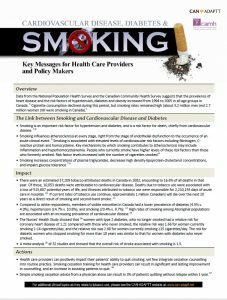 If substantial numbers of health care providers implement minimal contact interventions, there will be a significant reduction in the number of tobacco users, a decrease in related tobacco diseases, and lowering of health care costs. 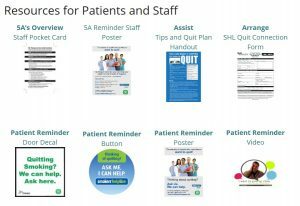 Training opportunities for brief contact interventions with clients, as well more intensive interventions are available. Key data standards and definitions are provided in this document for adult (18 years of age and older) tobacco users participating in smoking cessation programs.